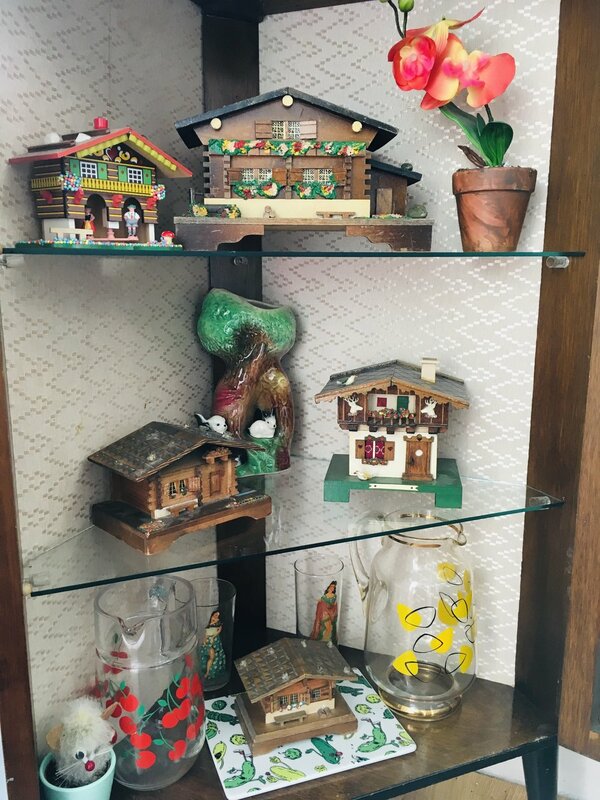 A veritable village of music boxes, some original, vintage ones and some newer reproductions. I remember playing with my Gran’s Swiss Chalet music box at her house on Saturday evenings, but I can’t recall when I started my own little collection, but it’s definitely a tribute. I think my favourite one is the cute homestead on the middle shelf on the right with the white stag heads. The top, left chalet is a weather predictor! (It doesn’t work, sadly). If I buy any more, I’ll need a bigger cabinet.